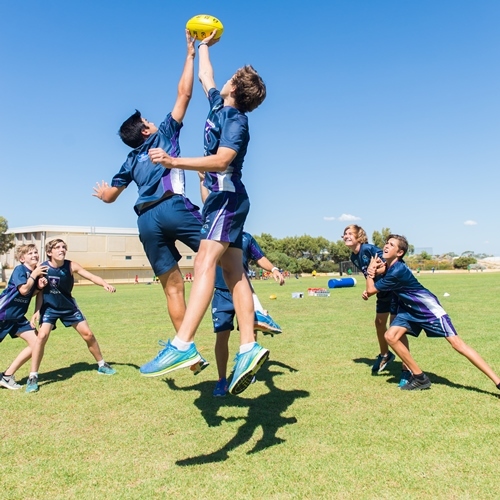 The Western Australian Football Commission has labelled the Comet Bay College Australian Football Specialist Program as the “Benchmark” of school Specialist Programs in WA. 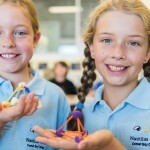 The Program is a consistent learning program over years 7, 8, 9, 10 and into Upper School. The Program is a Department of Education Approved Specialist Sports Program (ASSP), the first to be founded in the Peel Region. Students are able to apply to become a member of the program from any location – school boundaries do not apply to the Program members. This Program is designed to provide students with ongoing development in the skills and attributes needed to play Australian Football with a focus on each student working at achieving their potential as footballers. Students are exposed to specialist coaching while studying and practicing offensive and defensive skills, advanced strategies and tactics. Each student works towards the level of conditioning required to play top level Football, and also gain valuable experience in both umpiring and coaching roles. Trial registrations are NOW OPEN for current Year 6, 7, 8, 9 and 10 students for entry into the 2019 Program (places for students in years 8 to 10 are limited as they are existing program year groups). There are no school boundaries for entry into the program. The trials are scheduled for THURSDAY 13 SEPTEMBER 2018, and will be conducted at Comet Bay College. Students will be required to provide a photocopy of their most recent school report (no originals), football boots, shorts, socks and running shoes. Football guernseys will be provided for use on the day. TRIAL REGISTRATIONS CLOSED WEDNESDAY 5 September 2018 (3.00pm). REGISTRATIONS LODGED/RECEIVED AFTER THIS DATE CANNOT BE ACCEPTED. Please be advised that the college does not accept liability for personal computer or device malfunctions, use of incompatible browsers, lost correspondence or applications that arrive after the closing date. PLEASE DO NOT REGISTER THE SAME CHILD MORE THAN ONCE as this slows down the Administrative process! ALL communication to families will be via email only. The selection of students for the program is always a very difficult task with the number of skilled applicants applying annually at a very high number. 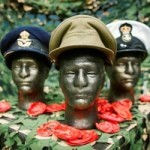 Each decision made on the selection or otherwise for each individual is carefully considered, in what is a very detailed process and as such, selection decisions are final. In addition, due to the high volume of students involved, resources required and the nature of this selection process, individual feedback cannot be provided to each student not offered a position. All teaching/coaching staff with the Comet Bay College Australian Football Specialist Program are qualified Level 2 and 3 Coaches with a range of WAFL playing and coaching experience. Each member of the teaching/coaching staff live locally and has a commitment to the development of young footballers and quality community members, whilst also being committed to the long-term success of the program. Teaching staff regularly attend students’ community football matches to record observations and provide players feedback according to set goals. Throughout the course of the program all players are exposed to a number of camp/tour activities. 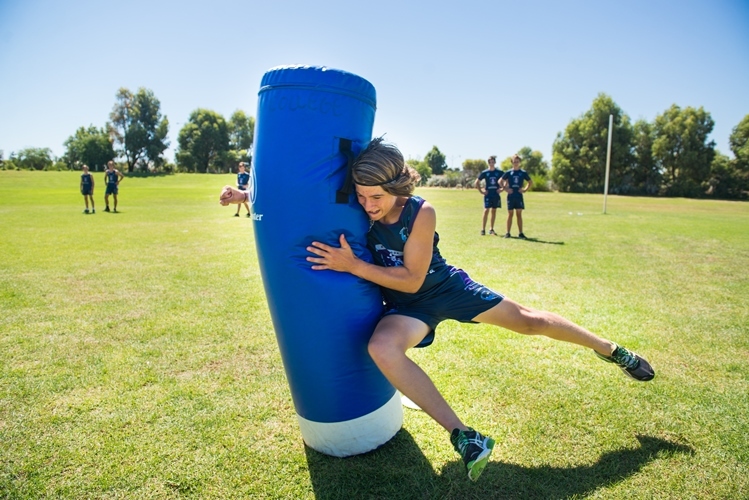 In Year 8 and 9 players take part in a Pre-season Camp to either Point Peron Camp School or Fairbridge Village. On camp students take part in detailed fitness testing for analysis, practical and theoretical components of fitness training, skill drills and team building/leadership development sessions. The students also take part in goal setting exercises with an information evening about pathways in the Australian Rules Football system. 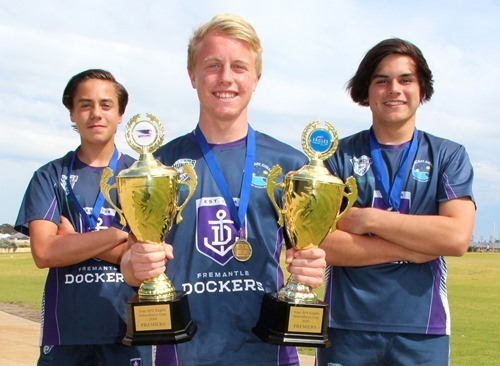 In the Year 10 program players take part in an annual tour to various regional centres. On tour the students play a series of matches, experience “traveling for football” and take in all the cultural and historical aspects of the region. Facilities at the Comet Bay College Australian Football Specialist Program are state of the art and are the benchmark for school football programs. The program has a dedicated fitness gymnasium and players lounge, with weights conditioning, boxing, and sports science facilities. Students have the use of heart-rate monitors with computer graphing of work output during training sessions, GPS systems, whilst frequently undergoing fitness and conditioning tests to identify strengths and work on weaknesses. Students are frequently filmed in games, training activities and for remedial purposes in correcting skill errors or for further enhancing player skill technique. The Australian Football Specialist Program has a significant focus on goal setting and each participant has regular individual one-on-one reviews to assess their development within the program. Students are given regular assistance to reach each selected goal. 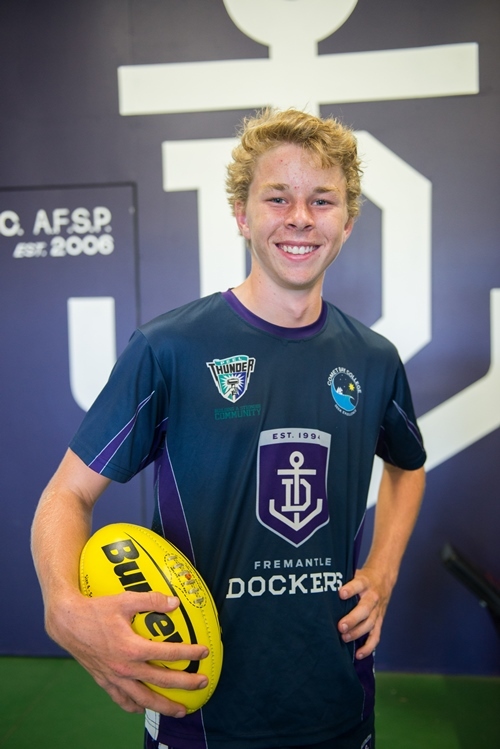 The students in the program learn and train in state of the art facilities at Comet Bay College using the latest technology and equipment designed for use in playing and training in Australian Rules Football. Program players have exclusive access to a fully equipped training gym including boxing, weight lifting and various sports science tools designed to maximize the results of each student. 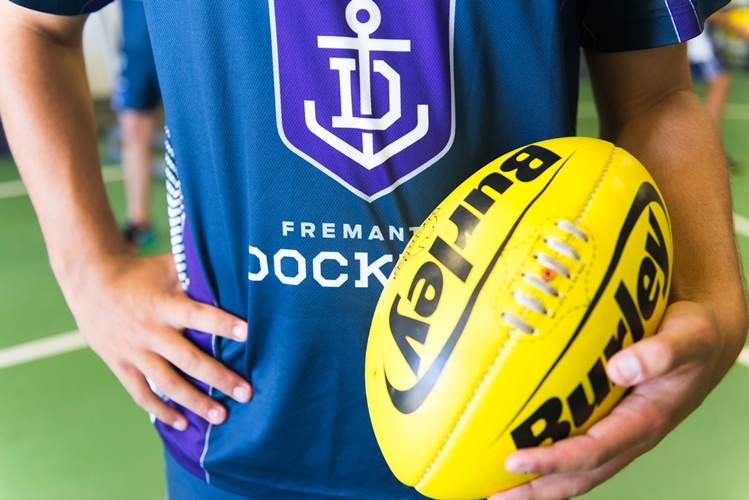 The Program has strong formal links with the Fremantle Football Club and Peel Thunder Football Club and are the only school program in WA with this level of support. The Program also regularly liaises with the West Australian Football Commission. Each of these formal links will provide the students with further opportunities in their development as footballers, students and young men. 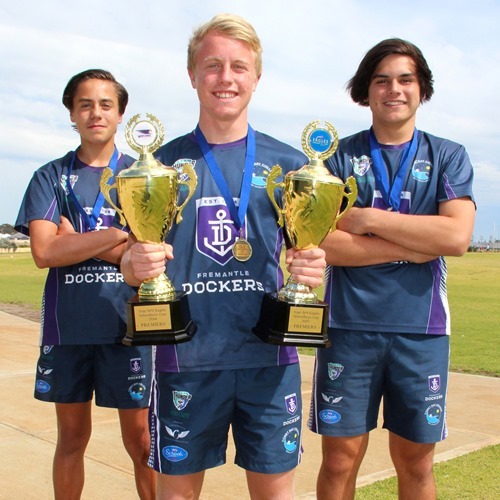 The program is designed so that it does not clash with community football teams, WAFL Club Development Programs, or WA Representation Pathway Programs. Instead, the program is designed to further enhance the speed and effectiveness of player development by focusing on individual and team skills in a smaller group environment. 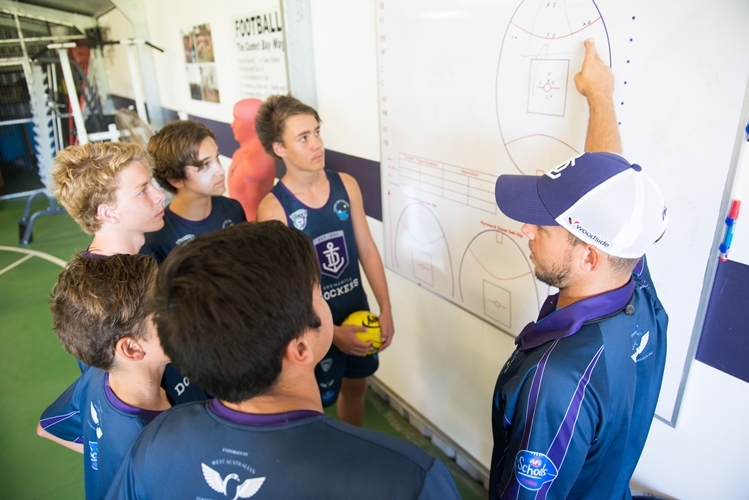 Due to our strong, formal relationship with the Fremantle Football Club and Peel Thunder, our players are regularly exposed to AFL and WAFL coaching staff. This is an experience that students will always remember and more importantly, learn from. 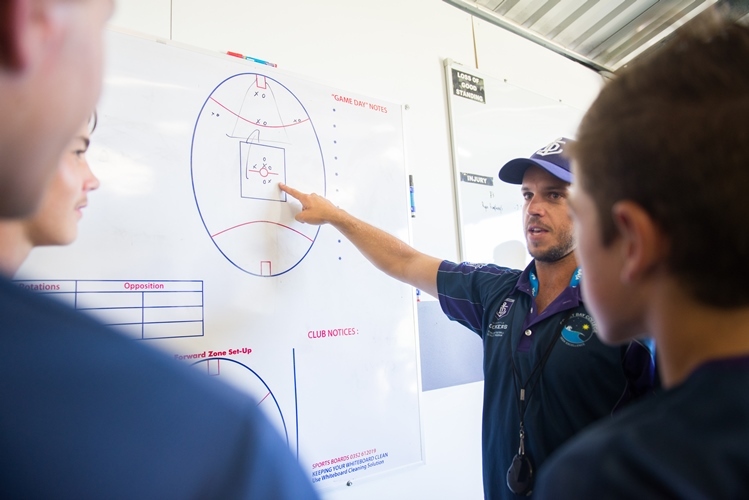 The quality of coaching skills program players are exposed to is evident in the fact that all staff are also employed in coaching roles for Peel Thunder Football Club in either Head Coach or an Assistant Coaching capacity for the Development Squad Academy Program, WAFL Colts system and NAB WA Talent Academy.